This is a telling video. I have heard about Mr. Zacharias but I’ve not followed his life and ministry very closely. I decided to watch this video pretending to be a good Mormon and found that Mr. Zacharias did a very good job. A little after minute 47, Mr. Zacharias gets a nice round of applause. This sounded like any Mormon speaker on any Sunday although it was more polished than most. It seemed that morality was a theme. This holds well with Mormon teachings. Mr. Zacharias asks them to read the Gospel of John. It is one of the Gospels out of four books Mormons believe to be God’s word. Besides the Bible, there is the Book of Mormon, The Doctrine and Covenants, and The Pearl of Great Price. When ones says: “The Word of God” in Mormon terms it can be from any of these four documents. This speech is an emotional one. What is our purpose in life? It is to have communion with God and then our relationship with God is like a marriage. These are Biblical themes but a very good Mormon would be comfortable with these themes as well. There is no full Gospel message. 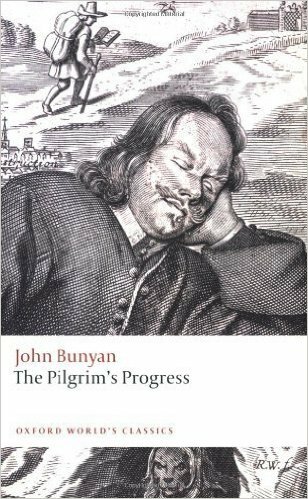 John Bunyan’s book, Pilgrim’s Progress, is a great book and Mr. Zacharias mentions it at the end of his message. I think that Mr. Bunyan was a Christian. He had never heard of Joseph Smith as he lived in a different time and in a different country. If he had heard Mr. Smith’s philosophy, I’m sure Mr. Bunyan would have considered Joseph Smith to be a false prophet. After studying Mormonism on and off over many years, I have come to the same conclusion that I think John Bunyan would have. It is near the end where Mr. Zacharias gets close to the cross but it is not a clear message. I agree to some degree with a statement of Ravi Zacharias. He says: “We’ve lost it today” when speaking about our worship life and about man’s communion with God. The same statement could be made in many times in history and in front of many types of audiences. Ravi speaks of the “absoluteness of God’s Word” towards the end and seems to be getting close to the Gospel. Sadly, he never gets there, as expected, in front of an audience that believes in a different Jesus. It is hubris to think that one has done anything better than Jesus. If Mr. Zacharias wants to join Mormons to those who believe the Bible is the only inspired world, he has to struggle uphill against this statement. I have taken Mr. Ravi Zacharias’ words to heart: “most people cannot think for themselves anymore.” Mr. Zacharias is a literate man as this video shows. My question is: “How can a Christian associate with those who think they will be gods someday?” YOU SHOULD READ THIS VIEW OF MORMON HISTORY AND WHEN YOU GET TO “Human nature was at its core divine.” YOU WILL BE ABOUT HALF WAY THROUGH. To speak to those who believe in serious doctrinal error and not use the opportunity to preach the Gospel makes one appear guilty by association. I certainly hope this is the last time Mr. Zacharias speaks at the “Temple.” He must know of the major differences. He is an intelligent man. In fact, I actually have a copy of THIS BOOK CALLED: “THE KINGDOM OF THE CULTS” with Ravi Zacharias’ name on the front. One of the chapters in this book is dedicated to the Mormon church and it isn’t friendly. I’m sure the Mormons know of this also, so why are they so friendly to Ravi when they were never very friendly to Walter Martin, a man who exposed Mormonism and other groups as cults? It is very strange. Here is the end of the Pilgrim’s Progress without the final poem, if you would like to read it. “Now I saw in my dream, that these two men went in at the gate; and lo, as they entered, they were transfigured; and they had raiment put on that shone like gold. There were also those that met them with harps and crowns, and gave them to them; the harps to praise withal, and the crowns in token of honour. Then I heard in my dream, that all the bells in the City rang again for joy; and that it was said unto them, “Enter ye into the joy of your Lord.” I also heard the men themselves, that they sang with a loud voice, saying, “Blessing, honour, glory, and power, be to him that sitteth upon the throne, and to the Lamb for ever and ever”. Now, just as the gates were opened to let in the men, I looked in after them: and behold, the City shone like the sun: the streets also were paved with gold; and in them walked many men, with crowns on their heads, palms in their hands, and golden harps to sing praises withal. There were also of them that had wings; and they answered one another without intermission, saying, “Holy, holy, holy, is the Lord!” And after that they shut up the gates, which when I had seen, I wished myself among them. This entry was posted on Wednesday, June 22nd, 2016 at 3:50 PM and is filed under Commentary, Helps, theology. You can follow any responses to this entry through the RSS 2.0 feed. You can leave a response, or trackback from your own site. Wow I never knew that was recorded and heard all kinds of interpretation of what happened that day and I am thankful for you writing about your own listening of Ravi’s message. Sad, wished the Gospel could have been more clear. I am glad I found your comment, Pastor Jim. I was answering it and hit the wrong button and it showed up in my spam documents. This rarely happens. I also think it is very sad. I know what Walter Martin would have done if he had been given such an invitation. He would have turned it down for the same reason he wouldn’t have ever wanted a video like this of him to appear. He wouldn’t want anyone to think, in any way, that he was in agreement with Mormon theology. Walter Martin was so well respected by Christian churches that I’m sure he had to turn down requests for certain dates to speak at good, Christian churches about Mormonism, or many other cults. He did not have to go to Salt Lake City. The Mormons came to him in bunches. I was at more than one of his talks in California. During the question and answer segment of the presentations, after the main message, the Mormons usually dominated the discussion, not as appearing to be correct but as appearing concerned about what Walter had said in his main talk. There were usually many Mormons in line waiting to ask questions. Many times the Mormons asked their questions of Walter in quite a harsh manner. Walter would almost always reply back with a different tone and a good Biblical answers to the questions. I’m sure that Walter Martin would be shocked that any Christian would take this pulpit and not use it for sharing the true Gospel of Jesus Christ. I think Walter would also feel it necessary to point out the main differences between the scriptures and Mormonism. This is why, I’m sure, Mr. Martin Never got such an invitation. Also, after viewing such an effort as this one, I think Walter Martin would be shocked to see the name “Ravi Zacharias” in large letters on the front of one of his most popular books. Mr. Martin would agree with me that Ravi is very crafty but in the wrong way. I must share a true story about Walter Martin. I know that he received all kinds of threats during his ministry. I was there when one happened. I was about 17 and I heard that he would be speaking on the topic of Mormonism at a church that was about an hour away from where I lived. I drove by myself to hear him speak. There were many Mormons in the crowd as well as Christians. Someone was making an introduction for Walter when someone came out and pulled the announcer off of the stage. The entire large group, a church full of people, were asked to leave peacefully and wait outside. Eventually, someone came outside and said that Mr. Martin would be back but that his comments wouldn’t be heard on this day. Disappointed we all started home and before leaving learned that there had been a bomb threat and that the church would have to be checked out well by the authorities before any other activities could take place there. I was there when he returned about a year later. He thanked the local police and fire departments for checking the building ahead of time to insure its safety before proceeding with his usual speaking and comment event. I taped it on an old cassette player and I think I still have the tape in my attic. Who knows if it is any good or not but I am an eyewitness to what happened and I have never forgotten it. Walter Martin experienced things that we will never know about because he was on in the “front lines” of the battle for the truth of the Word of God. I am a great admirer of his. Thank you for commenting, Pastor Jim. Thank you for the re-blog, Valeria. I hope all would be able to see this and decide for themselves on this invitation to Ravi Zacharias and his response. I have given my opinion on this issue. I hope that Christians would agree with it, but I would like to have a “discussion” with anyone who doesn’t. We are about halfway through in watching the video. Looked up Ravi Zacharias’s background this morning – nominal Anglican family in India. He likes to quote so many to make his point of fighting for morality to save our culture/nation: from atheists, to a hedonist, to the Roman Catholic, G.K. Chesterton. His remarks betray a confusion of mind. I think being in the limelight is to be in a bad and dangerous place. Your passage from Pilgrim’s Progress was so apt and revealing. We need to pray for Zacharias, truly. Amen. As literate as he is, he seems to be working against the very thing that many think he preaches. Thank you for your kind words. We are living in a day of great deception. It has always been that way to some degree, but things like these aren’t so obvious to some. How can Josh McDowell be appearing at the same event where many are like Ravi will be? It is very disappointing and telling. He is another to pray for. I hope many can see what is happening here as it should be very obvious. The man has a way with words and he pulls at the emotions. I love the emotions that God has given to me, but we have to be careful about them. Sometimes we can get swept up by them in the wrong way. I hope you have a blessed day, Maria. I’m glad this is also obvious to you as it would be to John Bunyan or Walter Martin as I have already noted. You will hear him mention the cross but briefly at the end. It is like tossing a bone with no meat to a hungry dog. It is a bit satisfying though hard to swallow and certainly not filling. Chris, you said that we are living in a time of great deception – this is true. Watching men and women speaking lies or failing to speak the truth is almost beyond belief. 12 Yes, and all who desire to live godly in Christ Jesus will suffer persecution. 13 But evil men and impostors will grow worse and worse, deceiving and being deceived. It is hard to watch, isn’t it, Maria? The number of false teachers still surprises me. Reading the lists of line-ups for many “Christian” conferences, I continue to see names that are new and names that are “old.” Some of the “new” names I have checked into teach some very strange things, and some of the “old” names that I used to rely on are joining the crowd. The verses you have quoted here have fit more with certain times in history than others but we seem to be living in one of those times. Chris, having been saved through the ministry of Christian and Missionary Alliance evangelists/church planters, I’ve known of Ravi for many years and have heard him speak at their church camp when he was a young man. We’ve finished listening to the video and although he definitely lacks discernment in what events he chooses to participate in, I would not say he is a lost soul. Without getting into a discussion of false doctrine from the podium at the tabernacle, he nevertheless attempted to convict Mormons and others of their self-righteousness and lead them to repentance and faith in Jesus Christ, not the Mormon jesus but the Lord God Almighty. He reminded them about the discovery of the Book of the Law in the Temple – he said that this needed to happen in our day, and that personal salvation must precede national renewal. Again, going to the tabernacle and participating in Together2016 shows a lack of judgment but not that he is unregenerate. I will have to go back and listen again, Maria. I hope that you are correct, of course. He did speak of our believers losing their moorings. I remember that as being one of the main themes. I don’t remember any hint of repentance or of any place where he seemed to indicate that Mormonism is different from Biblical Christianity. When I have time, I will go back and listen. I probably shouldn’t have used the term “lost soul” as I have always made it a point not to judge anyone’s salvation as that is only for God in the end. The two events that you mention are something that we have look at and make a judgment, not of his soul, but of his intention. Why is he joining with these groups? And why, in the temple in Salt Lake City, did he not speak more clearly even though he was very articulate? I guess those are my questions for a man who is well-known who, I admit to not knowing well. I will probably take down the “lost soul” part of my comment as it does appear that I’m doing God’s work there. I will listen again before it comes down, only so others can comment on this same subject if they so wish. I saw it as a great opportunity that I felt he missed the first time I heard it. Then again, if the Mormons thought he would challenge their beliefs, I don’t think he would have been allowed to speak. I need to humble myself as all of this is beyond me. I’ll probably get to this later in the day, Maria. I will surely look at the lighthouse link, also. It is a very good discernment site. I use it quite a bit. It is probably all beyond me, too. I will watch and read later and see if I get a different opinion than I had earlier. In either case, I think the words need to be changed as I can not judge any soul’s salvation. I am allowed to make a judgment about the messenger but, in the end, God will make the judgment about the soul. Words mean things and others may think I have put myself in the place of God with these two words: “lost soul.” That, of course, was not my intention but a change of a word or two can make it all good. Language is an amazing thing. May God richly bless you and your family as well, Maria. Looking back at what I have written, I don’t see that I have used the term “lost soul,” Maria. “In Pilgrim’s Progress there are many false ways. Here, Mr. Zacharias is surrounded by falseness and he has an opportunity, just like Christian does in The “Pilgrim’s Progress.” Christian succeeds where Mr. Zacharias fails. Christian makes it to the “Celestial City” in The Pilgrim’s Progress. Mr. Zacharias speaks of the “Celestial kingdom” and never gets to the Gospel message. The term “Celestial kingdom” is found in many places in Mormon literature. In the Pilgrim’s progress, the term “Celestial City” is used in every version I have. I am not saying here that Ravi’s soul is lost and I think my intention is clear. I will think about a change here but I can see nowhere else where one may be needed. Please correct me if you see something that I don’t. I read it twice again and I still may have missed something. I hope you are having a blessed day. Well, this is thin. I see that I used the term “lost soul,” in a comment back to you, Maria. It is gone. I thought, I had used the term in my main article, and I have used the term “lost soul” in a comment to you. It is gone now and it was not necessary nor surely correct, Maria. Chris, I can’t find this term “lost soul” either. Do you ever use ctrl+f to find things. Hold down the control key and type “f” and a little box will pop up and you enter a search term. Highlighting will appear on every match. I used ctrl+f here and in the comments at my blog and it doesn’t appear. Sorry that I put you to trouble – please forgive the inconvenience. I went to Sherry’s blog and liked her post linking to this post. I had used the term in a comment when I replied to you. I have removed it for the reasons I’ve mentioned to you. Chris, you have a blessed evening too! blogging can be labor intensive! I have been to your blog before, Dorian C. Thank you for the re-blog. I’ll have to get over to Christ4toNews as time allows. I never thought I could thank someone for trashing my comment…! It should show up if it works! I like the He Hath Said Blog from the little that I’ve seen. Well done! I’m a C.H.S. fan. Amen. OK, I think I’ve now put the re-blog into the waste bucket. Are you putting this to another blog, Sherry? Yes, but since it isn’t working to redo the reblog, I’ve managed a pingback. Thank you, much! I don’t see where you put it, Sherry, and I’m curious. Will you send me a link? When you look at the link you may want to check your spam…or not…lol-it won’t be the first time one has kept it in spam!